Home > News & Evens > How do I Have Small Quantities of Plastic Manufactured? We got lots of enquires this period of time. Most of customers would like to get a quote for their plastic parts. They asked us to offer a best solution for manufacturing their plastic parts at lower cost without compromising the quality. Here, we are going to share the 4 processes we used commonly for making plastic prototype and plastic components. SLA: We invested series of SLA machines and introduces different kinds of resin to meet the customer’s requirements. By the one-stop service, we can do post-finish as your expectation, which allow you to get your rapid prototype quickly. SLA process is suitable for your quantities ranges from 1 to 100 parts, and the part is suggested to work under no or less pressure. Vacuum Casting: This is the process extending from 3D printing. It involved the silicone mold making and it is more suitable in low volume production. Comparing to make 1 or 2 rapid prototypes, building 10 or 20 parts would be much less expensive. 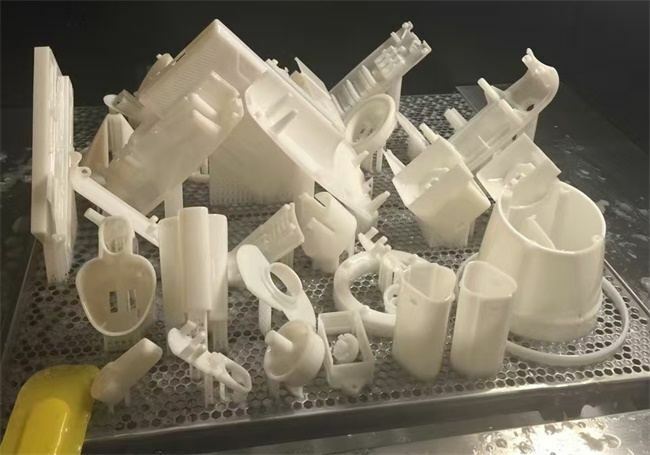 CNC machining: CNC prototyping is still the major process for making plastic parts, even though it might take more cost compares to the SLA/3D printing process, we can get tighter tolerance parts by CNC machining. For undercuts on plastic part, we can consider to split it to small pieces then glue together, this is a way for building the plastic part with no strength requirements. Rapid Injection Molding China: You can save quite a lot when you choose the rapid tooling and rapid injection molding process to manufacture the quantities over 100 plastic parts. By simplify the tooling structure, you can cost much less to build your own tool and mold your parts, this process is quite mature in TEAM Rapid, we ever build a rapid tool within 7 days at 800 USD. Want to have a free quote or know more about us? Send an email to sales@teamrapidtooling.com today and get in touch with our engineer.